Picture your confidence level. What does it look like throughout the day? What does it look like throughout the week? Does it go up and down, lie flat, or slowly arc downward? 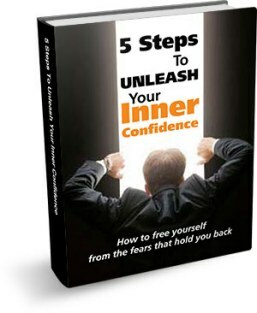 Now, imagine if, instead of wavering or sinking into oblivion, your confidence level went up and up in a never-ending cycle of increasing confidence. What would that do to your life? What would that allow you to create, experience, and feel? If you want to find out the answer, then stick around, because today, we’re going to be discussing a simple phrase that can help you rapidly build confidence—not just once or twice, but continually! Whether it feels that way right now or not, it is possible for your confidence level to increase exponentially, forever. All you need to do is discover little tools to help you realize this potential. One of the best tools available to us in this endeavor is language, and that’s what brings us together today. So, what is the short phrase that can help you develop unstoppable confidence? Confront the issue; solve the problem. In any area where you are struggling to gain the confidence you want and see amazing results, there must be some sort of problem (otherwise, you wouldn’t be struggling). Whether you’re facing challenges with a boss, an employee, a customer, your family, your health, or your state of mind, there is definitely something that’s holding you back from achieving your desires. In order to combat the issue, you must first confront it. Unfortunately, instead of confronting the issue, what many people do is to avoid it. For example, I used to deal with tons of social anxiety. Instead of confronting it so that I could go out and live a meaningful life full of friends and loved ones, though, I stayed at home playing video games and smoking pot. These actions may have given me comfort at the time, but they also limited me: I had no love life, no career, and no sense of professional or personal power; I felt inferior to other guys, and I had zero confidence speaking up in group situations. Regardless of your problem—a lazy employee, no confidence giving presentations at work, lack of communication in your relationship—you cannot hope to deal with it until you admit that it exists and state it loud and clear. This first step may sound simple (I promised it would be! ), but it’s effective and necessary. Even as you take a stand and admit the problem, you will begin to feel the weight of insecurity lifting form your shoulders. When you face the obstacles in your life head-on, you build up an identity that knows it can handle anything life throws in its path. This is when you will begin to build your sense of power in the world and watch your confidence soar. 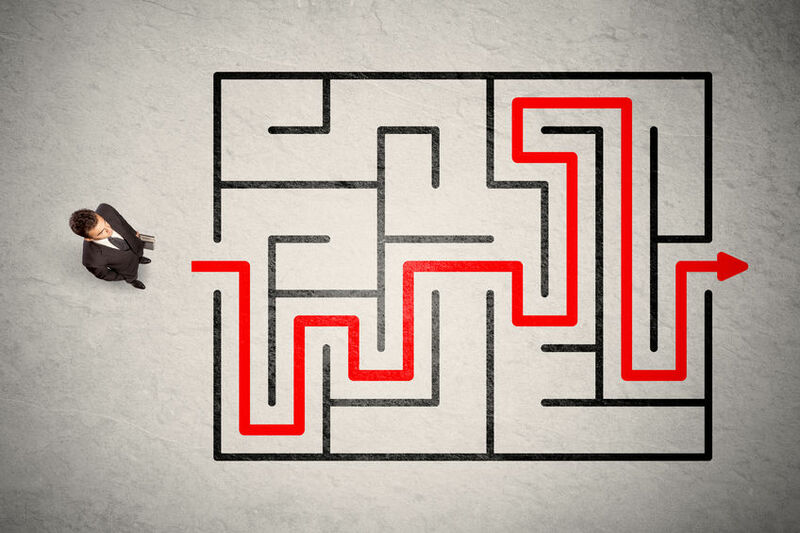 Once you’ve confronted the issue, you must solve the problem. Sadly, it can be very tempting to claim that you’ve already tried everything and that there’s no hope. I’m here to tell you that that is absolutely NOT true. The solution to your problem IS out there . . . you just have to do the work and find it. For me, the problem was social anxiety. I got nervous around other people, especially in social situations, and didn’t know what to say or how to handle myself. The solution as I saw it came in the form of reading about the problem to first learn more about it, and then receiving coaching to resolve it. First of all, books are a fantastic resource. Even if they don’t solve your problem outright, they can inform you (information is power!) and help set you on the path toward a solution. If you’re facing a major problem like I was, however, you’ll need to invest more energy and engage in further study through coaching or some other resource. For those of you whose social anxiety is causing similar problems in your love, work, or social lives, I can offer two fantastic resources in your search for confidence. One is my book, The Solution to Social Anxiety, which will allow you to confront the issue and solve the problem in the comfort of your own home. Probably far more effective, though, is option number two: my full-scale interactive program, Confidence University. This program involves guided, step-by-step instruction that will teach you exactly how to handle social situations with comfort and confidence. Why is it so effective? Because it provides both accessibility and accountability. With Confidence University, you have access to an amazing support system, including me, your coaches, and your group. We are there throughout your journey to keep you honest to your goals while providing the tools and the sense of community that will help you succeed! 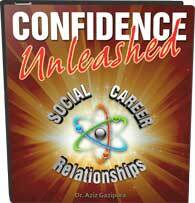 To access this program and the many other resources I offer, visit SocialConfidenceCenter.com. As you become increasingly comfortable with facing your issues and learning from others, you will notice that you can eventually confront bigger issues and solve higher-level problems. You may even begin to become addicted to the experience of expanding your mindset as you enjoy never-ending surges in your confidence. Confront the issue; solve the problem. While I would love for you to take advantage of the resources mentioned above, there is no reason why you can’t start using this phrase in your life today! What problem are you facing? What steps could you start taking immediately to help you deal with the problem at hand? You must begin to take action as soon as possible, because the faster you take the necessary steps to confront and solve your problems, the faster your confidence is going to grow, and the sooner your life will become magnificent. Please share your thoughts and experiences with this work below! I love to read about your endeavors as I watch you learn from each other and grow our community. As always, I also invite you to subscribe to this channel so that you can receive updates as soon as they’re available. Until we speak again, may you have the courage to be who you are and to know on a deep level that you’re awesome.